Make a statement in our hand woven Haddy Jumpsuit. 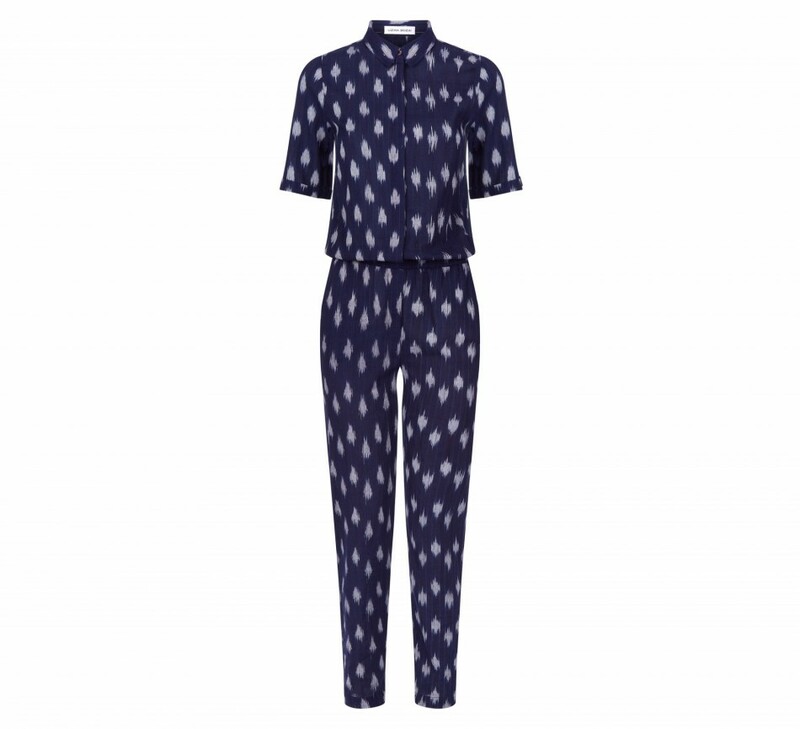 Crafted from hand woven and hand dyed fabric, the navy Haddy jumpsuit has a relaxed fit with an elasticated waist band and button front fastening. Style it your own way, open at the neck with sneakers or buttoned up to the collar with your favourite heels to elevate it for an evening look. This style is made using hand woven fabric and may be delicate. Due to the hand dying process, you may experience some colour transfer when this garment is new. Any natural imperfections are part of it’s unique story.